Opis: What's happened to the Ring Nebula? The familiar Ring that can be seen with a small back-yard telescope takes on a new look when viewed in dim light. The above recently-released, false-color image taken by the giant Subaru Telescope shows details of giant halos of diffuse gas that are seen to envelop the entire structure. 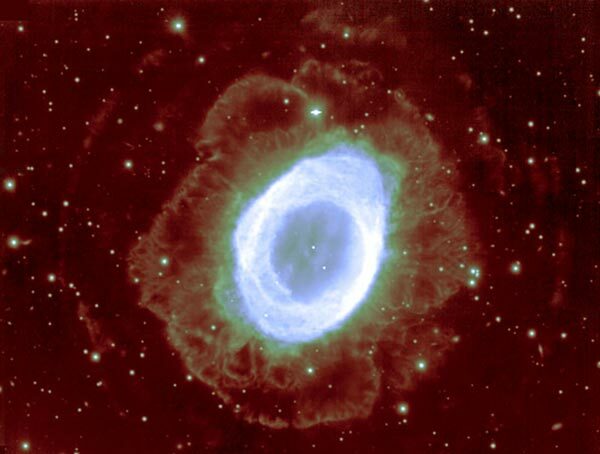 The Ring Nebula, also known as M57, is an elongated planetary nebula, a type of nebula that is created when a Sun-like star evolves to throw off its outer atmosphere and becomes a white dwarf. The Ring Nebula is about 2000 light-years away, and the main ring spans about one light-year. 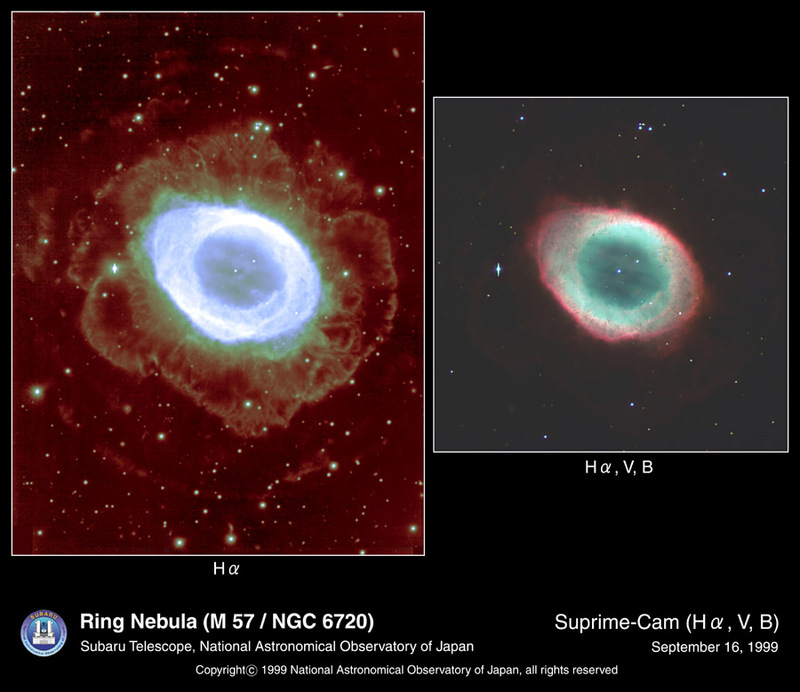 The origin and future evolution of the Ring Nebula's outer halos is still being investigated.